My In-laws were kind enough to give me a new tripod for Christmas, so I was excited to head out the other night to try it out. 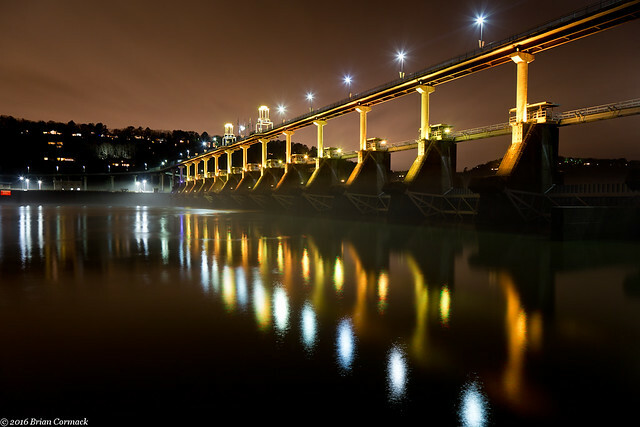 I went out to the Big Dam Bridge, the nearly mile long pedestrian bridge over the Arkansas River that just celebrated its tenth birthday in September. It had been raining all day, and a little bit of fog was drifting along the river. I tried to maneuver the tripod legs around (probably should read the instructions sometime), to get this shot of a puddle that formed in the pavement. 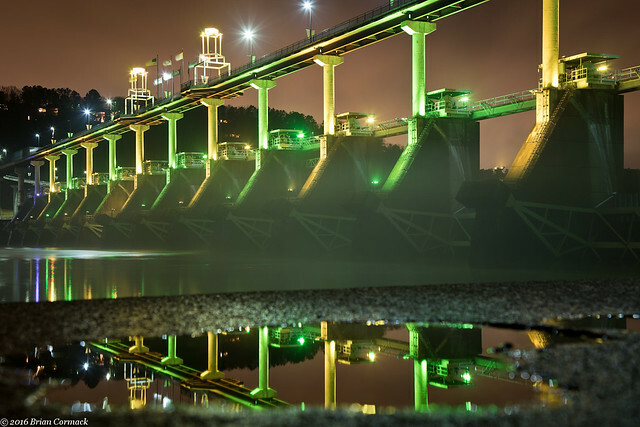 Luckily I was able to get a few shots there without managing to drop the camera and new tripod into the river. While we were in Searcy over the weekend for Christmas with my In-Laws, Jonah got a little fussy and refused to go take a nap. So I used the classic last resort of driving him around for a bit until he fell asleep. 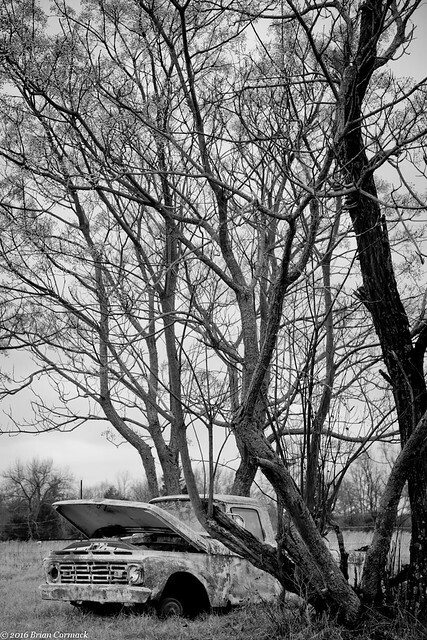 While driving the back roads of White County, I passed by this old truck rusting away next to some tall trees. I quickly took a picture while the baby snoozed away in the backseat. 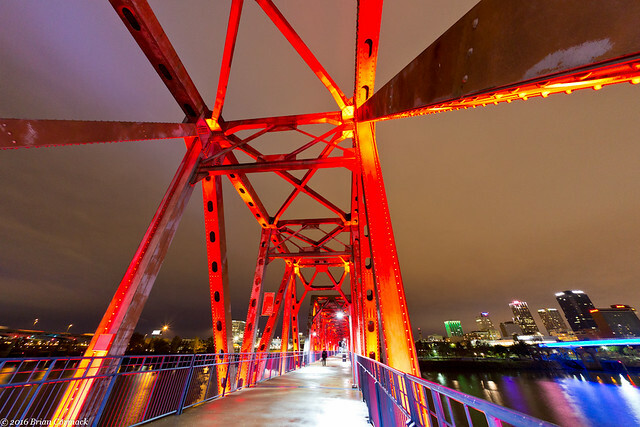 I headed out after work to try to get a few pictures in downtown Little Rock. It was cloudy, with an occasional raindrop falling down and trying to land on the lens. 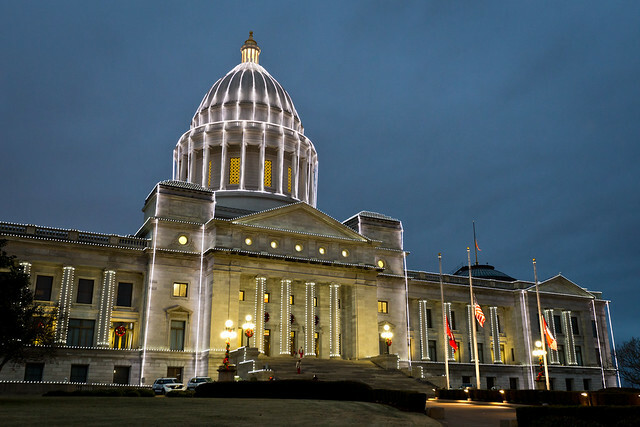 My first stop was the State Capitol, which had just had the holiday lights switched on. It's a pretty light display, although I do miss the days when the lights on the dome spun around (the "Disco Dome"). After that I made a quick visit to the Junction Bridge. 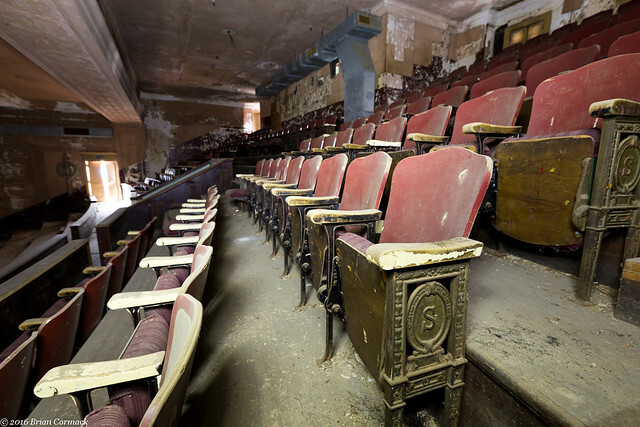 Here's one last shot, taken with the fisheye lens that I had borrowed for the visit to the old Saenger Theater. 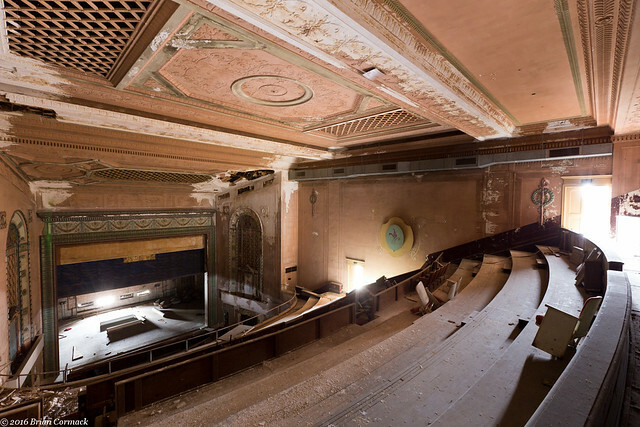 I was lucky to be given another opportunity to go inside the old Saenger Theater in Pine Bluff, this time with a friend and fellow photographer Bryce. 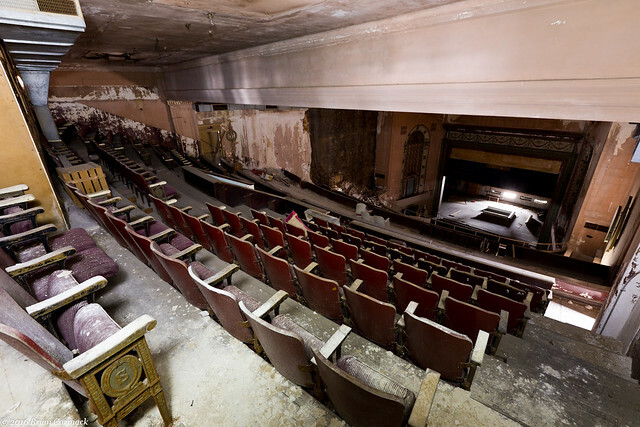 The Saenger is an amazing place, a once grand and ornate theater that has sadly been left abandoned for several years. 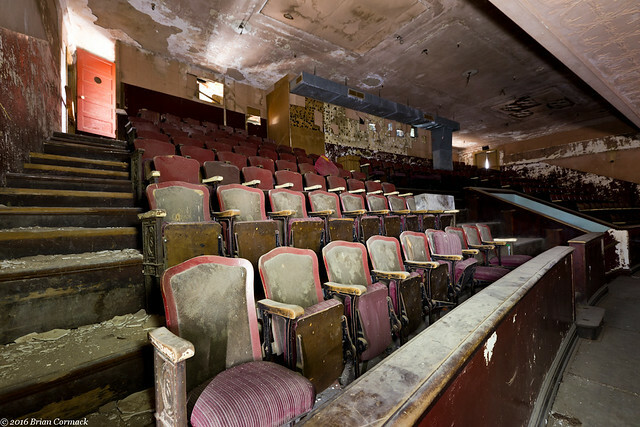 The theater was built in 1924 and was dubbed the "Showplace of the South" But the years of abandonment have taken their toll on the building. Water pours through holes in the roof every time it rains. The ornate crown molding is cracked, the plaster is peeling off in chunks, and the orchestra pit is flooded with murky water. 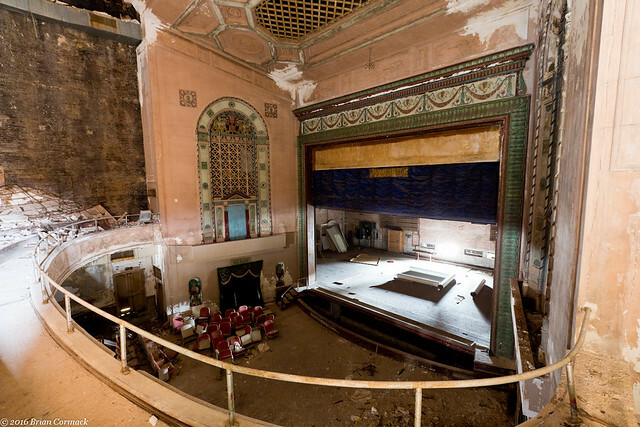 The damage to the building is most evident when viewed from the stage, which at one time saw performances from the likes of Judy Garland, Will Rogers and Harry Houdini. 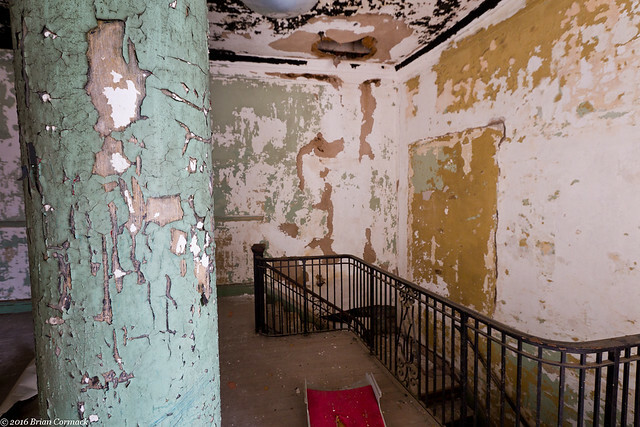 From here you can see the plaster wall that has collapsed onto the horseshoe shaped balcony, and the holes that poke through the ceiling above. 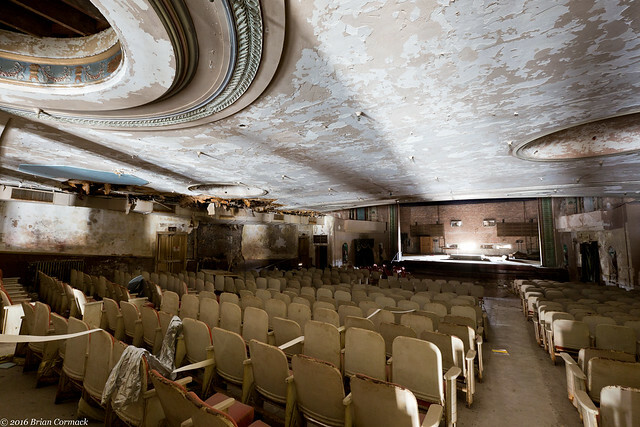 The Saenger brothers built 300 theaters across the country, of which only about 100 remain. 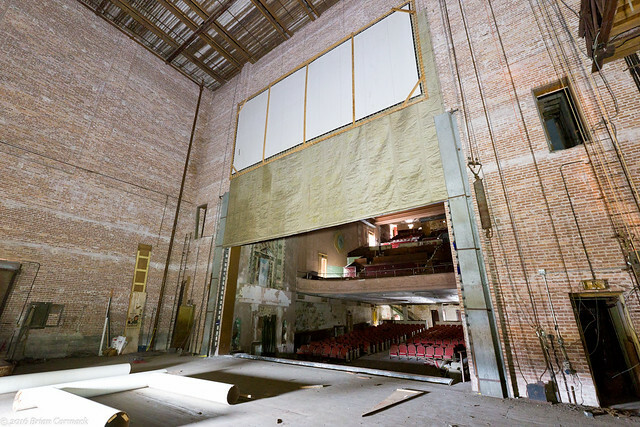 Two other Saenger Theaters were built in Arkansas, in Hope and in Helena. But both of those theaters were torn down and lost decades ago. 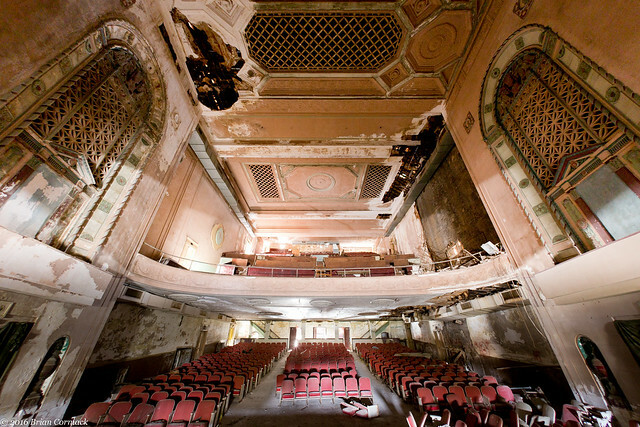 The Saenger was used as a traditional theater until the 1960s, when it was converted into a movie theater. 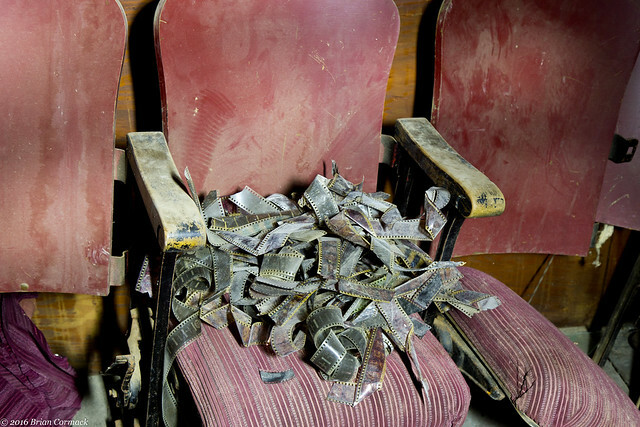 But competition from new movie theaters took a bite out of the Saenger's business. So in 1975, the theater closed. 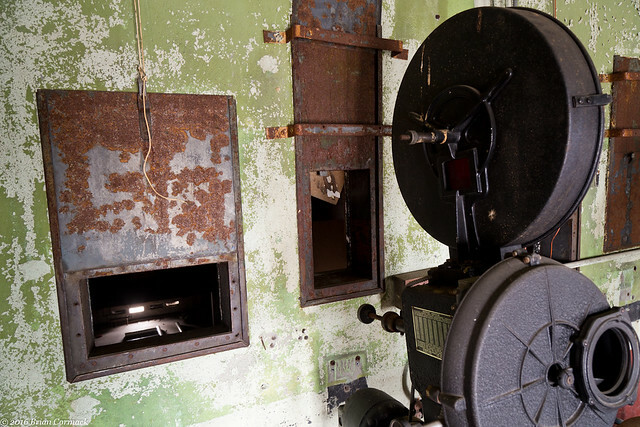 It had a short second life in the 1990s, when it was used for a few years by the Pine Bluff Film Festival. But when that ended, the theater was permanently closed. The architecture of the Saenger is also a sad indicator of the era in which it was built. 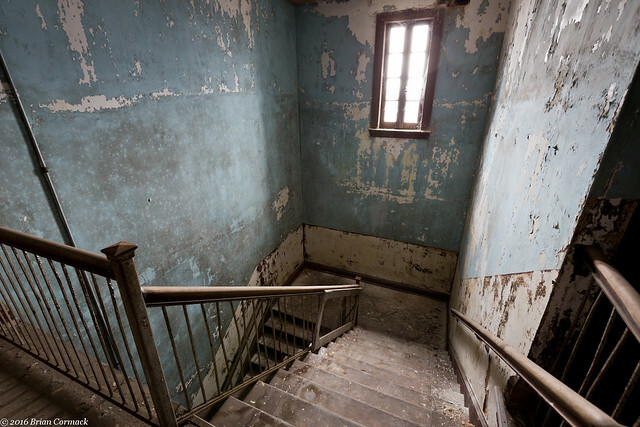 A side staircase bypasses the lobby and heads to the top of the balcony, which was used by African Americans who were forced to sit there during the days of segregation. And the seats at the very top of the balcony, which are maybe the original seats? They certainly look old enough to date to the 1920s. 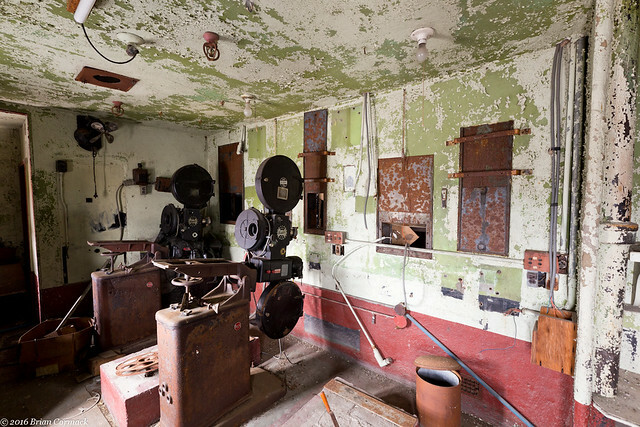 At the very top of the balcony is a narrow series of rooms, which included a tiny bathroom and the old movie projectors. We headed back downstairs and went behind the stage. The theater was hard to take pictures in because the only light was coming through the few windows that weren't boarded up. 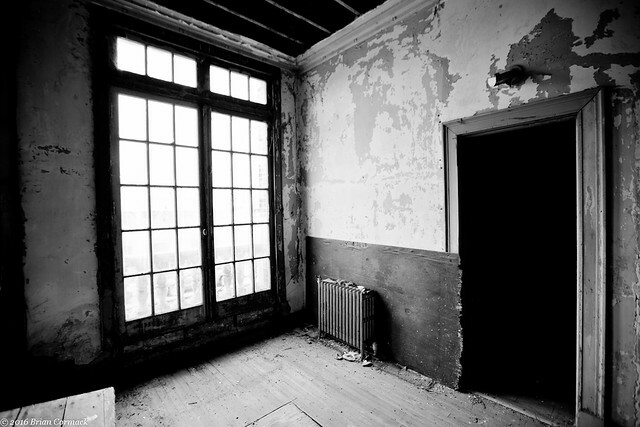 As it got later in the day, it continued to grow darker inside the building. It was starting to get dark, and the streetlights outside began to cast an orange light through the windows on the second floor. The Saengler was nearly torn down in 2011. 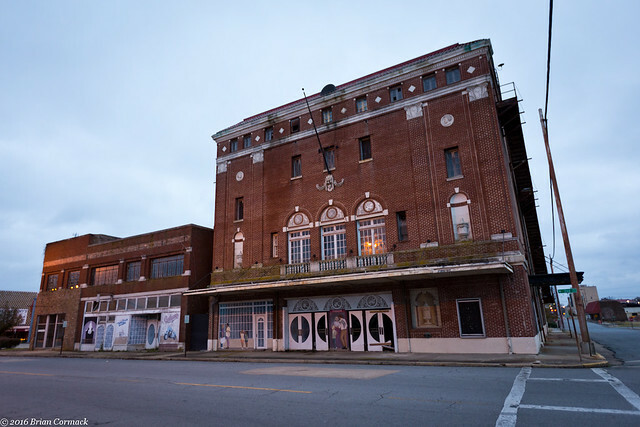 It was spared the wrecking ball and the city of Pine Bluff purchased the building. 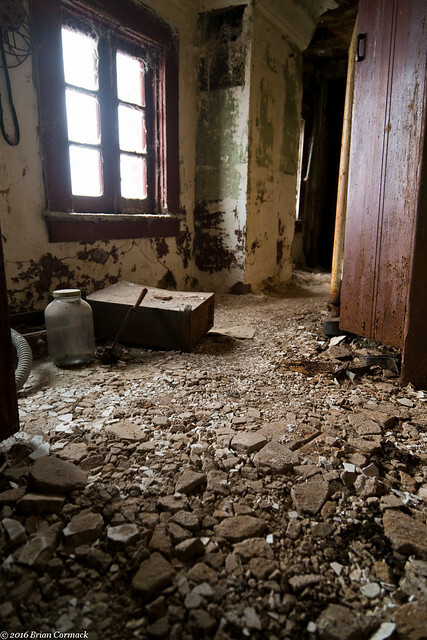 Since then, the building has sat empty and continues to deteriorate. 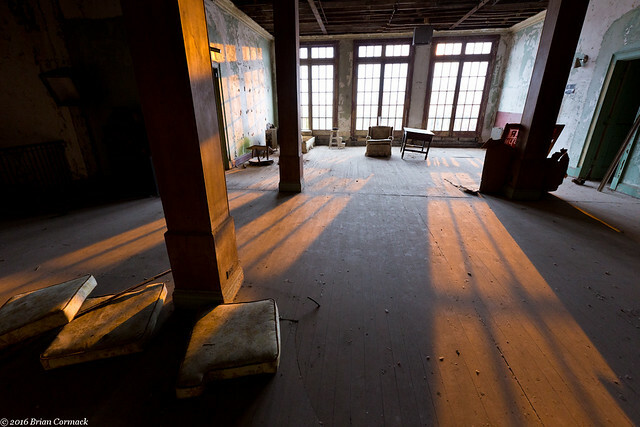 The Saengler is one of many abandoned buildings that haunt the streets of Pine Bluff. It would be a shame for it to join the fate of the buildings there that recently collapsed into piles of rubble. 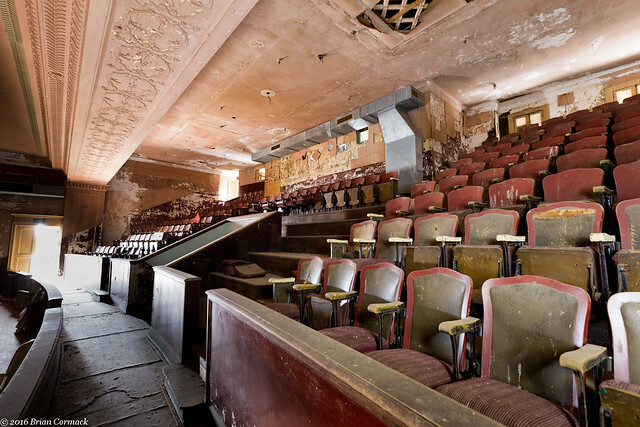 There aren't very many theaters like this left in the state, and if it is torn down than we lose a part of our state's history. It won't be easy, and it won't be cheap, but the Saengler needs to be preserved. 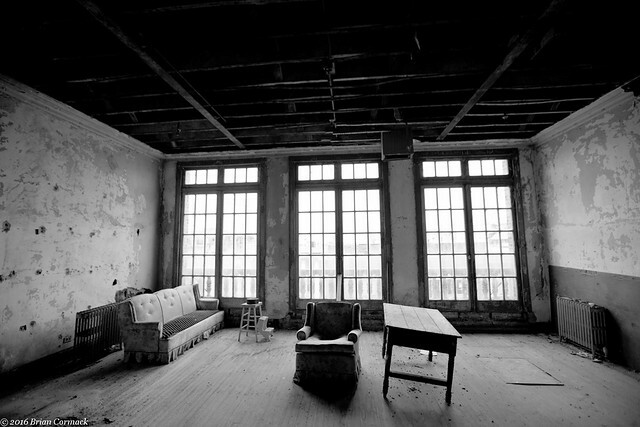 Until then the Saengler sits, like the Hotel Pines a few blocks away, as a ghost awaiting its fate.